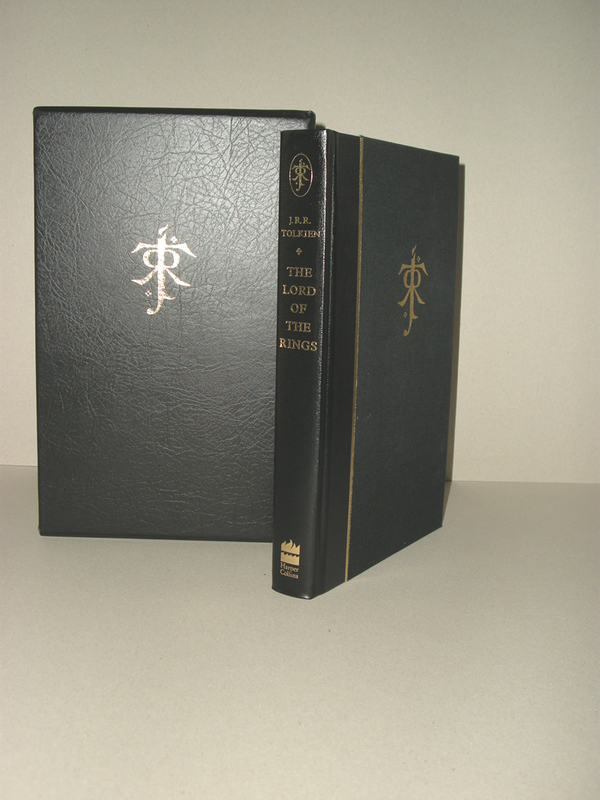 Black Leather The Lord of the Rings by Harper Collins Publishers, the 3rd printing of the 1997 Deluxe Limited Edition, printed in 2001. 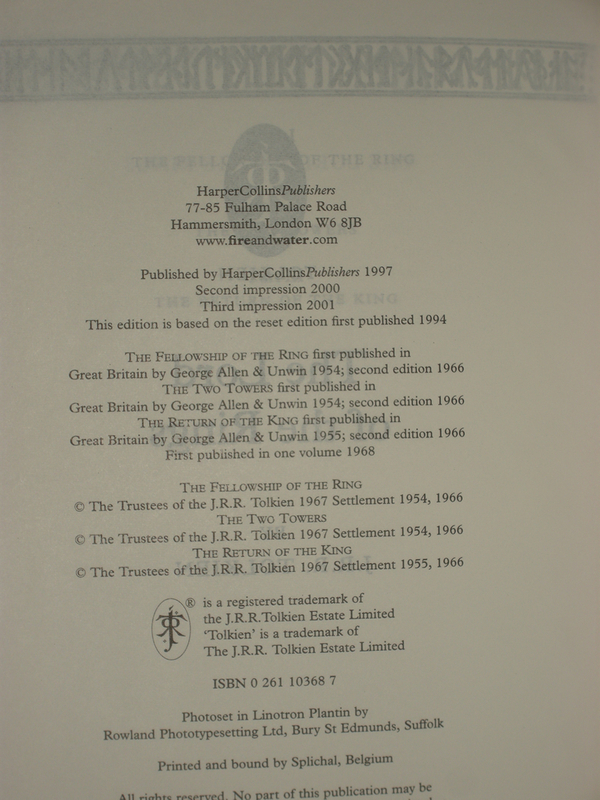 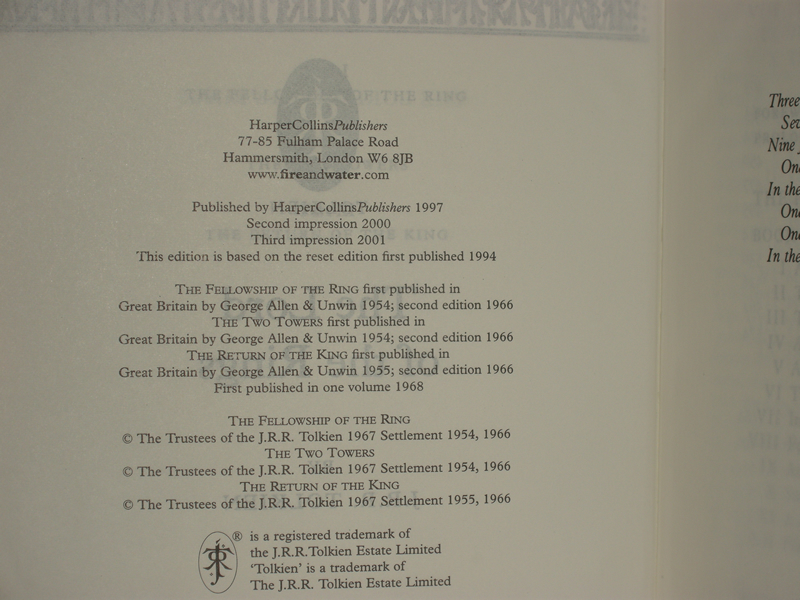 Harper Collins Publishers, the 3rd printing of the 1997 Deluxe Limited Edition, printed in 2001. 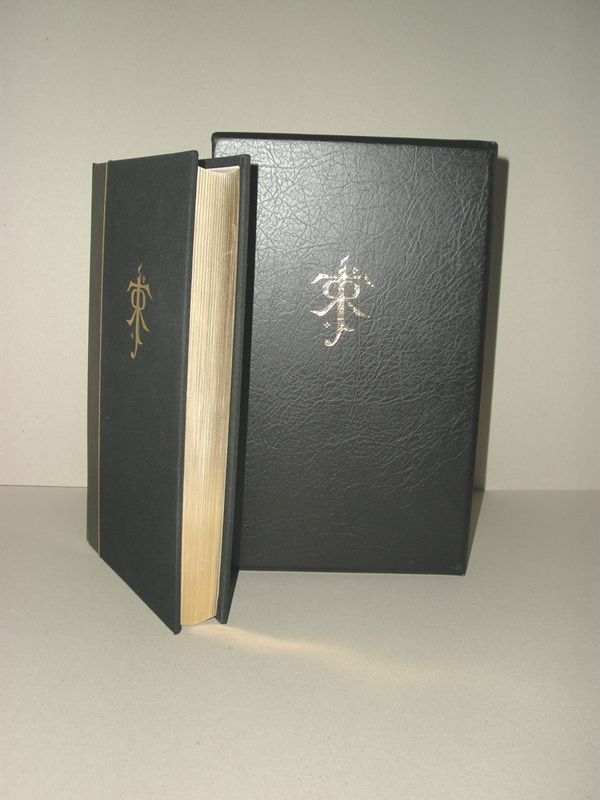 Housed in original publishers black leather slipcase with the monogram design gilt stamped to the exterior, matching the gilt design on the book.